— Minor girl allegedly gang raped by 4 persons while she had gone to attend Makar Mela at Kuchinda in Sambalpur; 1 person detained. — Two more minor girls found pregnant in Dhenkanal and Kalahandi Residential schools. — 2 school students killed after a excavator runs over them at Pirukudi under Khajuripada police limits in Kandhamal district. — OTET Question Leak: BSE lodges formal complaint at Mangalabag Police Station in Cuttack seeking a probe and action against accused. — CM Naveen writes to PM Modi demanding special category status for Odisha. — Reports of tiger attack in Daringbadi fake, says Baliguda DFO. — ISRO to set up 4 incubation centres including one in Rourkela. — 2 IPS officers from Odisha, Amulya Patnaik (Delhi Police Commissioner) & Loknath Behera (Kerala DGP), are among 17 IPS officers shortlisted for CBI Director’s post. — Jammu & Kashmir: 5 bodies recovered, 5 people are missing after 10 people were trapped under snow after an avalanche occurred in Khardung La, Ladakh, earlier today. — Defence Minister Nirmala Sitharaman takes decision to induct women as jawans in Corps of Military Police in Army. — Election Commission of India to announce the 2019 Lok Sabha election schedule in the first week of March, election would be held in 6 to 7 phases. 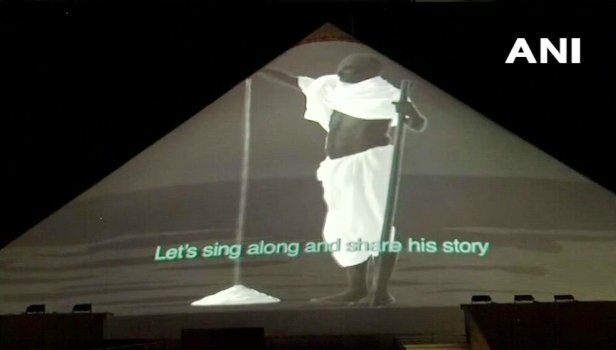 — Prime Minister Narendra Modi inaugurates 3D laser projection show at Dandi Kutir in Gujarat. — Pulwama: Terrorists hurled grenade at Kakapora police station which exploded inside the compound. No loss of life or injury reported. — Punjab: Ludhiana’s GST department seized gold and diamond jewellery worth Rs 1.6 crore. — Government of India sanctions three new Naval Air squadrons of maritime surveillance aircraft in Gujarat & Tamil Nadu. — 3rd ODI : India record a historic series victory in Australia; wins ODI series against Australia by 2-1.